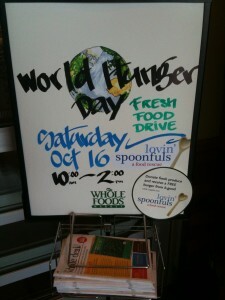 The very next day, OCTOBER 16th was WORLD HUNGER DAY! 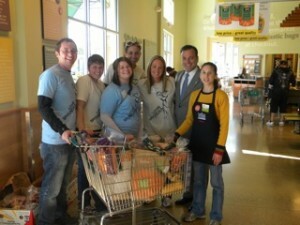 To celebrate, we teamed up with WHOLE FOODS in Legacy Place for our first ever PRODUCE DRIVE! It was an awesome day, people were so willing to participate! As we were weighing the day’s ‘haul’, the scale broke!! 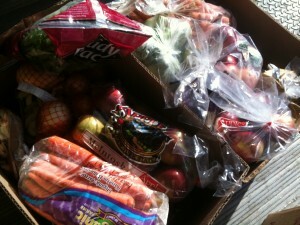 Last count was over 2500 lbs of carrots, potatoes, squash, apples, onions, peppers and other great foodstuffs from WF. Thanks to all who participated!! 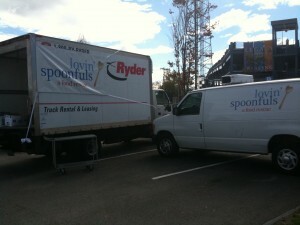 AND, we were able to raffle off gift certificates to awesome restaurants who support Lovin’ Spoonfuls!! Huge thanks to Lineage, Eastern Standard, Legal Sea Foods, Aquitaine, Gaslight Brasserie, Union Bar & Grille, Qdoba, b.good and of course, Whole Foods Legacy Place. 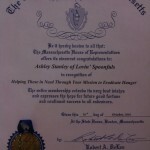 The surprise of the day came when Ashley was presented with a commendation from the House of Representatives. Paul McMurtry, the House Rep. from Dedham was on hand to recognize Lovin’ Spoonfuls! 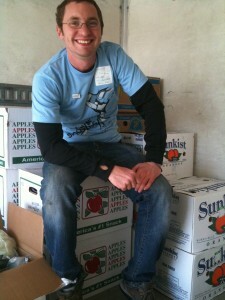 All in all, it was such a fun day -we had great volunteers, and Whole Foods did a great job letting people know how they can help us feed hungry folks! Check it out! Look at all this awesome stuff! 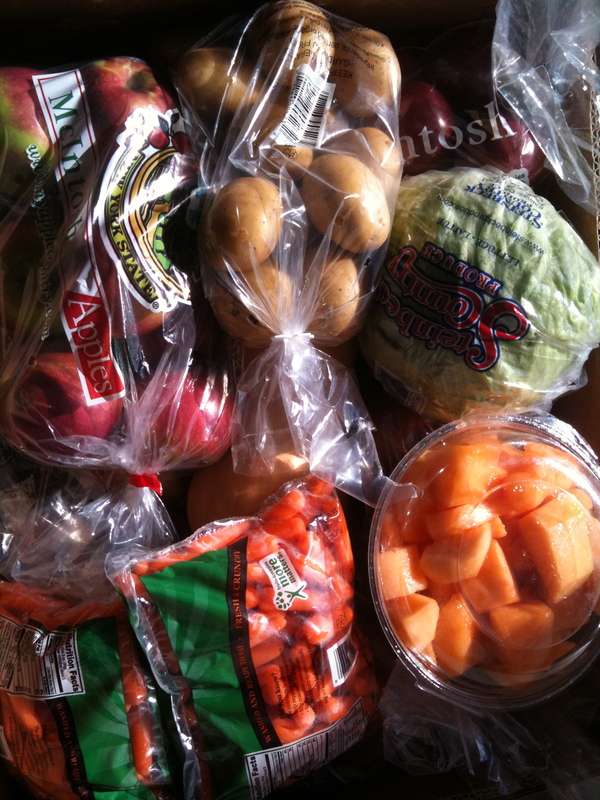 Everyone should have access to fresh healthy food! There is enough food out there-let’s go get it! 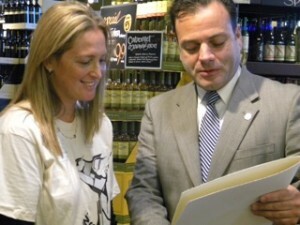 Thank you to our friends at Whole Foods, Yard House, the team at Legacy Place and all our volunteers for making our efforts onWorld Hunger Day count!